Annotate is a super useful pack of shapes, arrows, and more to help draw attention to specific parts of a picture. These stickers make it easy to pinpoint a good meeting point on a landscape shot or circle your face in a crowded photo. 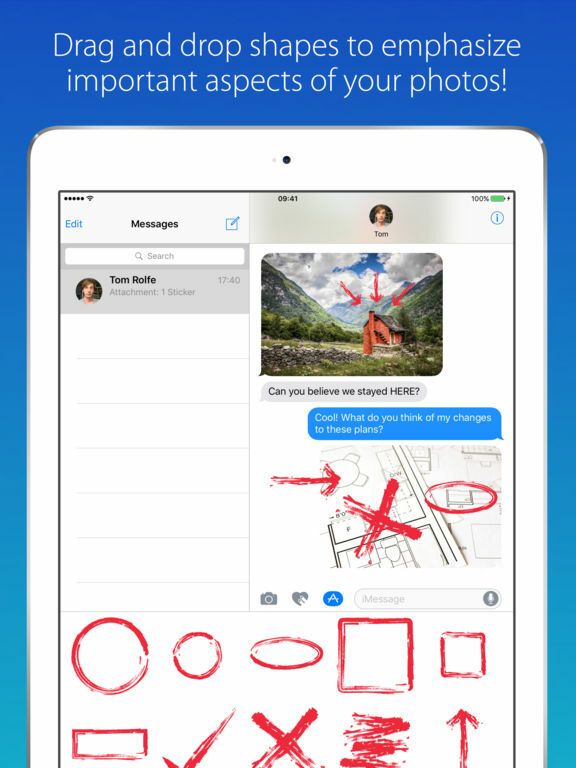 You can even use it to scribble out your friend’s messages if you’re feeling cruel! It’s easy to use: press and hold to grab a sticker, pinch to resize or rotate, and place it straight into the conversation! You can use these stickers to annotate photos, screenshots or even message bubbles. Get creative!